Since its founding in 2009, FutureRobot has been a leading, global “smart service robot” company. The success of FutureRobot’s smart service robots is based on the company’s globally patented Furoware™ software technology (Human-Robot-Interface (HRI) integrated platform), which enables robots to interact with humans in recognition, judgement, and expression. 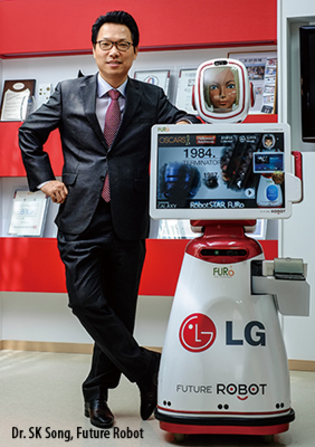 In 2015, because of its development of FURO, an advanced information guide service robot, FutureRobot was selected as one of the world’s top 50 most influential enterprises in the robot industry. In addition, FutureRobot has developed 40 core patents (IP) related to robot technology for which it is actively creating new business models through convergence with other industries. We are now living in an era of converging science, technology and digitalization, where creative (or disruptive) technological innovations are taking place every day and are fundamentally changing our way of life. Public interest in artificial intelligence (AI), the Internet of Things (IoT), Robotics, and Big Data are hotter than ever, and the heart of the present Fourth Industrial Revolution is robot centric. Robot centrism is not just a technology or a product, but rather a medium through which to reorganize society—the way we live and work. As industrial robots have been used as tools of convenience for industrial growth, service robots will be used as tools to connect technology and people. Technology coexisting with people is leading the change agent. In this sense, service robots (a/k/a “social” robots) will be central to that transformation. The core capabilities of service robots that can be defined at present are to provide convenience of technology while communicating with humans based on Interaction and Infotainment functions. 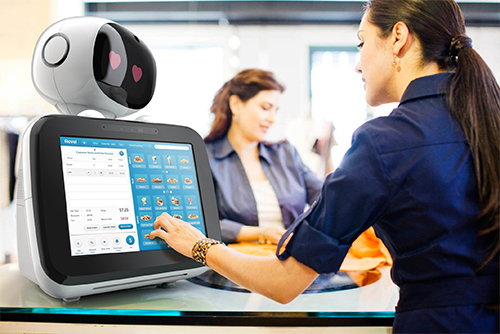 Service robots are not substitutes for people, but for supporting and coexisting with people. Due to an aging and declining population, there is a growing need for service robots that can connect with and complement people through the use of emotional communication. However, it has been difficult to commercialize service robots due to lack of clear product positions and limitations in technology, even though global investment in those technologies is growing. The robot industry cannot continue to grow and expand with only a few elemental technologies and ideas. First, market entrance should be done with products reflecting consumer needs. Then, technology and products should be upgraded based on the market data. What consumers want is not just high-tech robots, but robots that are highly useful in their lives. For the last eight years, FutureRobot has been creating sustainable business and core competitiveness through both R&D and commercialization of service robots. The result, the FURO product line, has created significant consumer interest as well as ongoing sales. FutureRobot’s vision is to contribute to changing the world for the better, where its FURO service robots, by connecting with and coexisting with people, become mutually beneficial agents to society and its welfare. FutureRobot, under the strong leadership of its founder and CEO, Mr. Se-kyong Song, is a 40-member organization working for global business through strategy, finance, sales, marketing, research and development, and quality assurance. Making year 2018 a springboard for a new leap to global prominence, FutureRobot plans to host multiple ongoing online and offline marketing activities, beginning with CES2018 in January (January 9-12), and in PyeongChang for the Winter Olympics in February (February 9-25). In all venues, FutureRobot’s family of FURO service robots will be introduced to global audiences. 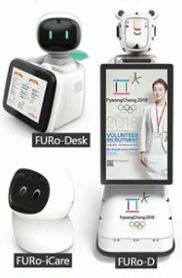 The FUROs are FutureRobot’s hospitality and information guide service robots that are being utilized not only in conventions, shopping malls, hotels, but also in extensive retail markets and households and homes. 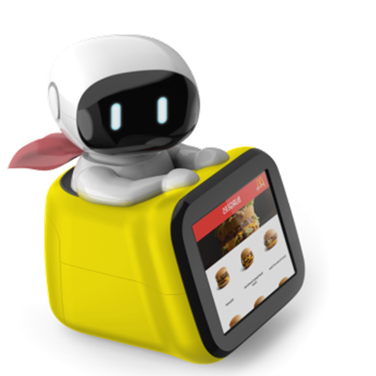 FURO-Desk is a commercial service robot that can be utilized in extensive retail markets, including food service and general merchandise stores. FURO-Desk is able to understand human languages and provides sales conversation through the latest updated product information guide. It is also able to provide order-taking as well as online and offline payments.